$16 is a pretty good price for a 10,000mAh battery pack. It’s absolutely insane for one with a solar panel and 12-LED flashlight array. 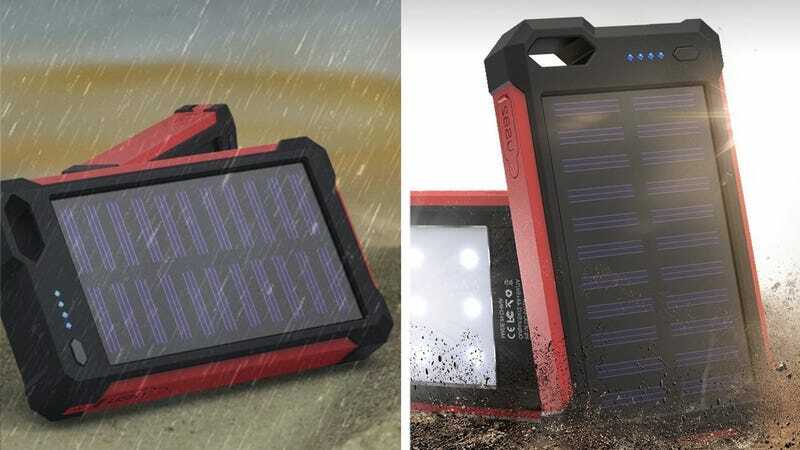 Obviously, that little solar panel won’t recharge the battery very quickly, but it can trickle charge it while you’re outdoors, so it’s nice to have.